Two is One and One is None. Make sure you have a spare ready to go. With outstanding imaging capability and high-speed performance contained in a compact body, the α7 III gives you the power, precision, and flexibility to capture once-in-a-lifetime moments just as you like. A newly developed back-illuminated image sensor and evolved image processing system fulfill various shooting needs with high-quality imaging capabilities that you would expect only from a full-frame camera. A new version of the 24.2-megapixel Exmor R CMOS sensor, now featuring a back-illuminated structure, is combined with the latest BIONZ X image processing engine and front-end LSI, and this combination achieves a data readout speed that is two times faster and data processing capability that is 1.8 times higher. The 35-mm full-frame CMOS image sensor with back-illuminated structure enhances light collection efficiency, expands circuitry scale, and, with the help of a copper wiring layer that contributes to quicker data transfer, outputs data at very high speed while minimizing noise to reveal fine details in every picture. Approx. 15-stop dynamic range at low-sensitivity settings is achieved, thanks to a revamped CMOS sensor and image processor that provide for smooth gradation from shadow to highlight. This gives you greater freedom of creative imaging. Color reproduction performance is dramatically enhanced, giving subjects that you capture more natural color that is faithful to how the colors look in real life. Skin tones in portraits, blue skies in landscapes, and vivid hues in still life images look very realistic as a result. The latest high-precision stabilization uses stabilization unit and gyro sensors and algorithms to achieve a 5.0-step shutter speed advantage in a system that compensates five types of camera shake with a wide range of lenses and delivers excellent performance. For smoother, more natural gradation, the latest BIONZ X image processor, and front-end LSI process image signals in 16-bit form. This processor also allows 14-bit RAW data output, even when in silent or continuous shooting mode. AF performance is improved using the same AF advancements as in the α9 and applying it optimally. Once the α7 III captures such unpredictably moving subjects as dancers, boxers, and wild animals in action, it won’t easily let them go. This camera features 693 phase-detection AF points covering approx. 93% of the image area, plus 425 densely positioned contrast-detection AF points to improve focus. Combining focal-plane phase-detection AF for excellent speed and tracking plus high-precision contrast-detection AF, Sony’s sophisticated Fast Hybrid AF can capture fast-moving subjects in razor-sharp images. This system advances performance to double AF speed. The AF performance inherited from the α9 accounts for AF tracking with enhanced precision for continuous shooting of quick action. With faster image sensor readout, even complex subject motion can be tracked and sudden movements can be predicted with great precision, letting you capture decisive moments. Advanced AF algorithms contribute to high AF precision down to light levels as low as EV-3, for more reliable autofocus in dark scenes. 693-point focal-plane phase-detection AF not only covers a wide area and responds instantly—it offers the benefits of high tracking performance even with an A-mount lens mounted via mount adaptor LA-EA3. With the α7 III, Eye AF can now be used with AF-C mode, for fast, effective eye detection/tracking performance when shooting stills. The easy maintenance of optimum focus on moving subjects can totally transform your portraiture. The α7 III has Touch Focus function, and a TouchPad function for you to fingertip-drag the focus frame intuitively while using the viewfinder. Use autofocus for stills while the focus area is magnified in the viewfinder/monitor, and magnify the view after autofocusing. This is ideal for focusing on a small area and other precision-focus photography. AF tracking sensitivity for stills is adjustable in five steps. AF areas/points are changeable as you switch between horizontal and vertical orientation. Focus point settings can be assigned to custom buttons. The α7 III can shoot in a continuous burst at up to 10fps with AF/AE tracking and up to 8fps burst shooting when shooting in live-view mode. The camera also supports silent shooting at up to 10fps with AF/AE tracking at maximum resolution. Capture an instant action with continuous shooting of up to 10fps, or 8fps for live-view shooting, with AF/AE tracking. Up to approximately 177 JPEG (standard) images, 89 compressed RAW images, or 40 uncompressed RAW images can be captured in one continuous burst. This camera allows silent shooting at up to 10fps with AF/AE tracking. Silence is critical for various scenes when even slight noise can mean missing a chance at an ideal shot. When artificial lighting flicker is detected, the shutter is timed to minimize possible exposure and color inconsistency in images shot at high shutter speeds, as well as between continuous shots. Groups of shots taken in continuous mode can be reviewed, deleted, or protected quickly. You can access a menu screen and change settings, as well as operate image playback during data writing. As well as new capability of recording stunning 4K movies through 2.4-times higher oversampling, the camera features a new HLG (Hybrid Log-Gamma) picture profile, supporting instant HDR workflow. Full-pixel readout without binning in 35-mm full-frame mode makes it possible to condense approx. 2.4 times the data required for 4K movies (QFHD: 3840 x 2160), minimizing moiré and jaggies. Full-frame or Super 35-mm mode can be selected as needed. Furthermore, 4K recording employs XAVC S format at bitrates as high as 100 Mbps. Fast Hybrid AF with focal-plane phase-detection AF and contrast-detection AF locks onto and smoothly tracks moving subjects. A wide AF area like that for still images is now available for movies, too. Reduced low-end AF drive speed allows more pronounced slow focus effects. Freedom to match focus response to specific scenes is enhanced overall. A new HLG picture profile supports instantaneous HDR workflow. Movies recorded in HLG picture mode will appear true-to-life with minimized black-crush or blown highlights that can deteriorate gradation and details, without color grading. S-Log3 improves gradation from shadows to mid-tones and widens the dynamic range up to 14 stops. Also, select a frame rate from 1 to 120/100 fps for up to 60x quick motion and 5x slow motion. The α7 III’s operability is enhanced by fast control during shooting, dazzlingly clear views through the Tru-Finder, versatile connectivity, and extended shooting endurance from various power sources, plus high durability and resistance to wet or dusty conditions. The α7 III can use an NP-FZ100 battery with approx. 2.2 times as much capacity as an NP-FW50 battery, allowing you to shoot up to approximately 710 photos with one full charge. 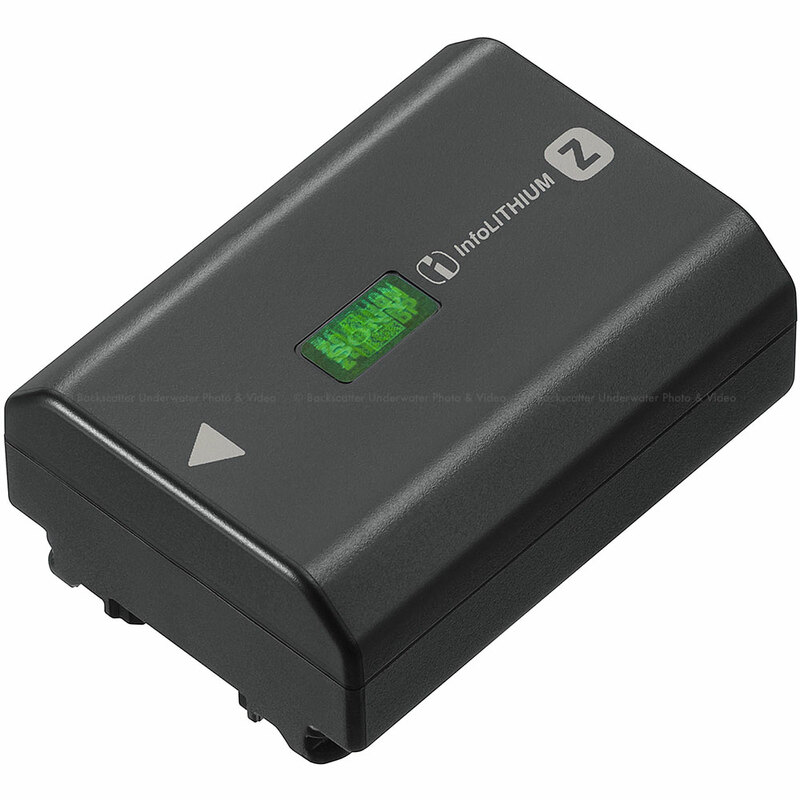 BC-QZ1 optional battery charger allows quicker charging than charging via USB. With two media slots, including one that's UHS-II-compatible for fast data writing, the α7 III can simultaneously or relay record, separate RAW/JPEG data and stills/movies, and copy data between cards. Register up to 30 frequently used items on the new My Menu for instant recall. You can create and customize an optimal menu for your own convenience. With rating function, you can rate recorded still images from 1 to 5 stars anywhere right on the spot, using the playback screen to perform the function if it is assigned to a custom button. USB 3.1 Gen 1 compatible USB Type-C port makes high-speed PC Remote data transfer smooth and effortless, for handling large image files produced using PC-tethered shooting. An entirely renewed image sensor and image processing system further enhance image quality. Improved overall AF performance, high-speed continuous shooting of up to 10fps, 4K movie recording capability, and operability that has been dramatically upgraded from the α7 II allow you to capture more decisive moments.